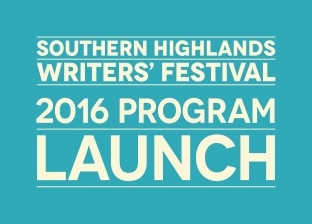 I have recently returned from the Southern Highlands where they were celebrating their fifth annual writers’ festival this year, and I have to say that it’s one of the best regional festivals I have ever attended! I was so impressed with the way the festival was run, that I have lined up an interview with Michaela to talk about this delightful festival, from “the horse’s mouth” so to speak….and I will share that with you soon. As for the festival, I discovered new talent that I had been aware of, but not yet experienced firsthand. I am now reading (and loving) Sofie Laguna’s penetrating tale: “The Eye of the Sheep”, which of course won the Miles Franklin Literary Award in 2015. It’s a story of tensions and exhilaration; it embraces our fears and our capacity for wonder, and mostly it is of human journeys where the characters are multi-dimensional rather than black and white in their behaviour and consequences. It revolves around Jimmy Flick, who is not like other kids and his parents who love him, each in their own ways, but dealing with him throws new challenges into already stretched lives. I am only half-way through, but will no doubt review it very soon, for it certainly deserves the glowing appreciation of Sofia’s considerable writing skills. Due to an unforeseen emergency (a sick baby – and haven’t we all been there), Sofia was not able to appear in person and was forced to advise the festival at the last moment. Of course, a festival Director’s greatest nightmare presented itself with a full-house who had bought their tickets and were due to watch this session. With grace and calm, Michaela quickly organised a “live” link, and so we all got to hear the interview with Sofia from the lounge room of her own home, with her five-year-old son also performing for the camera behind her (unbeknown to Sofia), as she spoke to us. It added an unintended bonus for us all; we got a glimpse of the writer’s home environment, and the event was a standout success, in the end, proving that disaster can always be turned around to opportunity. Bravo Michaela! Personally, I really enjoyed the talk with Barry Jones (some of you may just be old enough to remember the Pick-A-Box quiz show champion. This is where he proved he had an impressive intellect at a relatively young age, and we all loved him (except for Bob Dwyer the show’s compere, and who seemed to have to endure many challenges that Barry threw his way), but that’s a whole other story in itself for another day.) Listening to Barry, I was reminded of the Friedrich Nietzsche quote that: “Wit is the epitaph of emotion”, but not so in the case of Barry. The man was positively oozing passion – he’s passionate about all things cultural and artistic. Wisdom and truth are in music, and books and he urged us to imbibe. That “joie de vivre” came through, loudly and clearly. So enthusiastic was Barry in fact, that the interviewer had little work to do, as Barry just frolicked through his favourite, passion-filled “must embrace” experiences, that of course he urged us all to try. We should do so to the point at which we will experience, what he calls “The Shock of Recognition”, the title of his second book, (sub-titled: “the books and music that have inspired me”). When an impressive intellectual like Barry recommends a musical or literary experience, we all tend to follow – after all, the man knows what he is talking about, and many in the room were furiously writing notes. I bought the book! But that was not all of the gifts we were treated to at this warm and wonderful festival, but also some feisty commentary – there was a scintillating interview with Jane Caro, on her book, “plain-speaking jane – from high anxiety to not giving a toss – a (mostly) fearless memoir”. Annabel Crabbe says of Jane’s book, “…only Jane Caro could convert anxiety into a triumph of the human condition” and her story was indeed engaging and spirited. The interviewer (ABC veteran and author, Sarah MacDonald) was skilled and managed to bring out the best in Jane, and we got a glimpse of someone who is vulnerable and authentic and who has much to offer other anxiety sufferers. I bought the book because if she is as witty in text as she was in speaking, I suspect I might be in for a damn good read – will let you all know, if that will indeed be the case. There was more on the menu, with this festival that I have not talked about here. Included is the publishers’ panel that held nice, chunk-sized gems of wisdom for the many aspiring authors in the audience, and I also heard great things about the Wendy Whitely book talk which kicked off the festival, but which sadly I missed due to long-distance travel. Nevertheless, I did see many people clutching her beautiful gardening book as I arrived and overheard much praiseworthy conversation on that session. To top it all off, I found a unique retailer who operates her beautiful store from her residence in Burradoo — (by appointment only, if you will), and she had many wonderful bookish things for sale. I bought far too much – as usual – can’t take me near a bookstore as my children learned a long time ago (“quick, let’s cross the road before mum sees that bookshop”). Oh well. We all have our vices! So if you haven’t worked it out already, I am absolutely in love with regional festivals. This one is my third in just a few months, and I have my sights on another one soon. Meanwhile, I congratulate Michaela and her team for a top-echelon literary experience – I will be back!